Google Shopping Price Comparison, Google Price Comparison - Read it! With pay-per-click (PPC) becoming one of the most profitable forms of advertising in the online world today, we bring to you some nice Google Shopping price comparison tips and tricks that will help you boost your online customer engagement as well as drive up sales. Businesses have been increasingly focusing on online audiences to grow and expand. With this ever-increasing focus on targeting online clients and customers; PPC is now extremely important in order to effectively tap into the web market. In general, the term pay-per-click (PPC) encompasses a number of different advertising tools, the most prominent among them being Google Adwords. Research has revealed that almost 95% of the revenue that Google generates is the result of advertising. This advertising extends to forums such as Google Search, Google Shopping, and the Display Network. As an advertising tool, rather, an advertising solution, Google Shopping is ideally suited for e-commerce websites that need to make sure that particular products reach a larger audience. 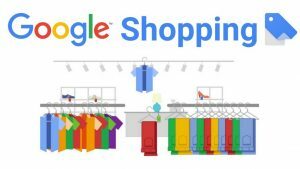 First launched in 2002, Google Shopping is used extensively by all types of businesses today, whether multinational retailers or small businesses. It used to be known as Google Product Search as well as Froogle at different times in the past. Generally speaking, Google Shopping enables users to browse for a particular product on its platform and then lets them compare the prices offered by all those retailers who choose to advertise their offerings on Google Shopping. Advertisers get to upload a video feed on the Google Merchant Centre, which provides a complete list of products (along with their attributes) to Google Shopping. These comprehensive product attributes are put up for display on the Google Shopping product page. Once any visitor decides to purchase a particular product from a particular retailer, he or she will click through to the advertiser’s website, in the process charging their chosen cost-per-click bid from them. It can be quite a tedious task to get your Google Shopping dashboard up and running. Also, making sure that it is performing at an optimum level can be time-consuming. In fact, getting it right is often a gamble that may or may not pay off. Knowing what a tricky proposition it can be, we have compiled a list of simple and effective Google price comparison tips and techniques to help you get the most out of your Google Shopping advertising campaigns. Use these tips for a properly optimized feed that will help improve your conversion rate, something which is an important measure of the success and brand strength of any business. Read on and get the digital marketing of your business spot on. Of course, this is not something specific to Google Shopping. Making use of promotion campaigns should be a part of the advertising strategy of any e-commerce store. 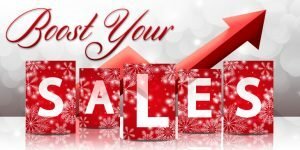 Be it a full-on product sale, a discount code, or the option of free delivery on the purchase of certain products; putting up such promotion campaigns through your marketing channels (social media, email lists, etc.) can significantly boost your sales. Using this strategy on Google Shopping has its benefits too. 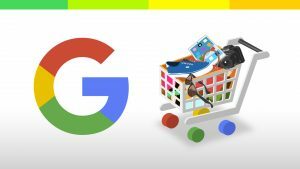 When you advertise a product on Google Shopping that is sold by other players as well, it will be displayed on the Google Shopping feed as part of a price comparison with similar products from other players/brands. Therefore, it might be to your advantage to add a promotion of any sort to make your product stand out from the competition. The little gift tag icon will show next to your listing when you add a promotion, drawing visitors to your offering. You can add a promotion in one of two ways; either utilize a promotion tool on your Google Merchant Center account or set up a feed solely for promotions. In general, Google Shopping includes the shipping cost for your products into the comparison table to help customers make the best choice based on value. However, this information is not extracted directly from your website. 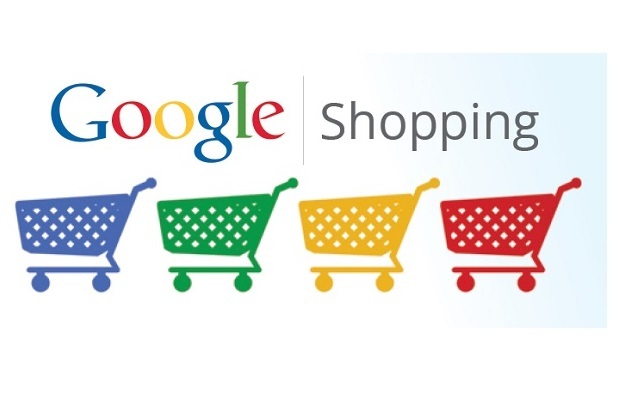 You have to provide this info to Google Shopping through the Google Merchant Center. Google Merchant Center makes it simple for you to alter your shipping costs on the basis of weight, value, location, and some other factors. Whether you charge a flat rate for your shipping costs or keep variable prices based on the specifics of a particular order, all these details can be easily added in at the Google Merchant Center. Keep in mind that this step is a mandatory part of the Google Shopping process. Google puts a lot of emphasis on the advertising quality being high. In other words, Google wants to make sure that there is no false or misleading information. Therefore, the information on your shipping costs must be 100% accurate and up to date at the Merchant Center. If not, then Google reserves the right to suspend and even shut down your product feed, ultimately resulting in a loss of income for your business. We suggest you carry out an in-depth review of your shipping costs and make sure that all contingency plans for any emergency or sudden system error are in place. Google can pick up on even the tiniest of errors, so make sure you have all your bases covered. Optimizing your product titles is vital, almost a matter of life and death unless your advertising efforts are geared toward product searches using part numbers. And we can be reasonably sure that is unlikely to be the case. Some items can be located by searching for a global trade item number (GTIN), while others can be found by browsers making generic searches. For example, if you are selling black stiletto heels, make sure that your product title says “Louboutin Black Stiletto Heels” instead of “Louboutin Stiletto Heels” or “Louboutin Stilettos.” That way, your product will show in the search results of users who make use of the term “black stiletto heels” on Google Shopping. Google Merchant Center can provide you a list of your products that have been rejected. 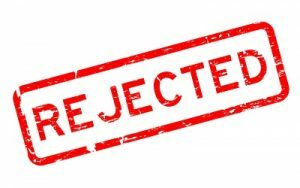 This rejection and disapproval can be due to a number of reasons which include seemingly poor image quality, lack of proper identifiers, and policy violations, among other things. Also, the number of disapproved items can run into the thousands sometimes. So, you should keep an eye on your feed diagnostics to see what can be easily fixed and what cannot be. If one wants to stay at the top of the list in regards to one’s product then he should compare the prices of his products with his competitors and this thing should be done frequently. In this case, the thing that counts a lot is the pricing of the product when one is specifically talking about Google Shopping. In this case, a customer may not be more inclined towards buying of that product that has a low price but Google may be more inclined in showing those products which are cheaper and this thing may be done a number of times. The algorithm of Google is favoring those products which are cheaper and this thing may differ in a very small amount. If a product which is being offered by a specific company is cheaper as compared to the same product which is being offered by your competitors at a higher price then there are more chances that your product gets greater clicks as compared to one’s competitor. This GTIN is a sort of barcode that one can use as an identifier of the product. This number is being supplied by some manufacturer and when one is selling his products to different buyers then he should keep this thing in mind that they are being included in one’s shopping feed of Google. The usage of Global Trade Item Number has a variety of benefits. A benefit of this is that it is always helping Google in placing one’s product in the right way along those products which are being sold by an individual’s competitors and it may also be used as a query for search by those users who prefer shopping for their particular products online. Google has been using Global Trade Item Number to give an item increased visibility. This means one may be able to appear under specific shopping tab. Like this one’s product may also be made available on the Google Search. If one wants to utilize his budget related to Google Shopping in an effective manner then it is important for an individual to understand that when is his campaign yielding a number of conversions. In a number of cases, the performance of a campaign varies a lot the whole day. There will be a number of times when an individual’s sales may be more than their competitors. Every single hour report on performance can be generated by Google AdWords. This helps in showing the time in detail whenever the conversions were made. This information can then provide one with a bidding script that may help in increasing the number of bids during that performance which was and in the same way it might be decreased when the time of performance was low. Like this, not only the conversions will increase but this will also help one in preventing their budget from being exhaust at those times of the day which are quieter. Like this, the likelihood of different conversions also increases. A number of users who visited a specific website of yours previously have chances that they will be returning and they might also convert into those customers who are known as paying customers. This can be done by using remarketing lists of Google. This helps one in targeting those customers who have previously visited your website. This thing is also done to encourage those previous customers so they can again purchase a specific product or service from a specific website. Like this one can increase the number of bids that have be made by different visitors on one’s remarketing lists, a number of ads that are being shown encourage the visitors to returns back so they are able to purchase a product or a service and it also provides the choice of bidding on a number of keywords which have been made available on one’s remarketing list. Bidding rates can be adjusted by segmenting different shoppers into some sort of remarketing lists this is based on one’s preference to make some sort of purchase. This means that whether a shopper has purchased a specific product before or he has abandoned a product or a specific basket. Like this, that data which is historical can be restored by using Google Adwords. This thing also helps in driving that traffic to one’s website which is more valuable. This thing helps to increase sales. One way by which an individual can ensure that his website is getting those clicks which are relevant is that he can click on those adverts which have the highest number of chances of conversion. This can be done by filtering out that traffic which is not relevant i.e. they are not looking for what is being offered by you. This thing does not apply to campaigns of shopping but one can make the usage of those keywords which are negative in order to avoid the spending of their budget on specific time wasters. Optimizing the campaigns of Google shopping should not be a daunting task and one can make the use of these tips discussed above if one wants to see certain improvement in their performance and they want to achieve success. By adopting these ways success can achieve and by using these tips a number of individuals have earned profits for their businesses. There you have it. Make use of these tips to take your e-commerce business to the next level. Did you find this piece useful? Got anything to add to it? Let us know in the comments section below.